Aston Martin is continuing with its carbon craze, this time with a new set. 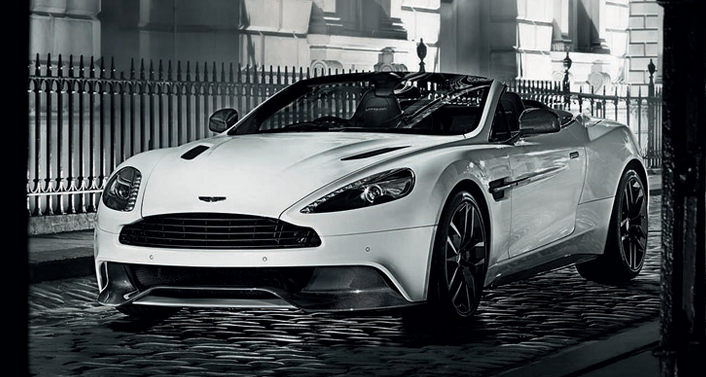 The Aston Martin Vanquish carbon special editions will be offered in black and white, just like the DB9 carbon set. There will also be a Volante carbon special edition–all will be unveiled at the 2014 Paris Auto Show next month. Aston Martin has released a teaser announcing the special edition carbon Vanquish and Volante models. They are to debut at the Paris Auto Show in October.